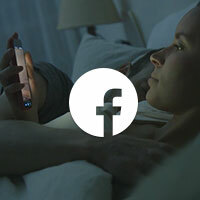 Facebook Home: The Future of Mobile or Marketing Ploy? The ongoing speculation concerning Facebook and mobile looks like it’s finally coming to fruition, with the launch of Facebook home, a software ‘wrapper’ for the Android platform which has social as the focal point. With rumours circulating on the net for a couple of years now about Facebook developing its own smartphone, dubbed Project Buffy, you have to wonder if it has actually been all about this. Facebook Home basically wraps itself around Android in order to show a different, more social, interface. Whilst browsers have used software wrappers for some years now, they are not so common on mobile operating systems. According to Mark Zuckerberg, modern smartphones are centred around apps, rather than people and it’s this that he hopes to change with Facebook Home. “We have our phones with us all the time, and we just want to know what’s going on with the people around us,” Zuckerberg explained at the launch on April 4th 2013. Facebook Home positions the social network as the central part of a smartphone. From the home screen, it’s possible to see regular updates from friends as well as use search, all through the Facebook platform. The first time we’ll get to see Facebook Home will be on the 12th April on the new HTC First, although initially it will only be available to US customers on AT&T. However, it’s not necessary to purchase a phone in order to use the new software, Android users can download it from Google Play from April 12th too. Again, initially it will only be available in the US, but will be rolled out to the rest of the world shortly after launch. HTC First – the ultimate social phone? The HTC First is already being billed as “the ultimate social phone” but some privacy experts have warned that the ‘always-on’ aspect of Facebook Home raises concerns. According to experts, the new software proves that Facebook aren’t interested in listening to what their users want. This is because the social network are essentially employing more tactics to track and gather user data. However, many users of the social media site say that they don’t want this tracking, nor their details used for targeting advertising. However, from Zuckerberg’s perspective, it’s important that he proves the social network has further revenue models available following a disappointing first year on the stock market. This means that the company will have to find ways to keep investors happy, hopefully whilst not rocking the user boat too much. It’s not known if Facebook will make Home available for iOS or Windows Phone, presumably it depends on the success of the Android software. For the moment, it will only be available to download from the Google Play Store on certain devices, including the HTC One X, HTC One X+, Samsung Galaxy S III, Samsung Galaxy Note II and of course the HTC First, from next week. What are your thoughts on Facebook Home? Tell us in the comments section below. My Social Agency is a digital marketing agency based in the UK with offices in Leeds and London. Get in touch to learn more about social media marketing and mobile app development.